Mad Max, Road Warrior, Thunderdome, Fury Road; that’s the franchise, although we can hope more will be added in the coming years. George Miller’s trilogy has always been considered a cult classic, a unique point of view, and a vehicle (no pun intended) for Mel Gibson’s career. But the latest installment revamped our love of the series, reminded us what a strange world Max inhabits, and showed us that action movies don’t have to be the typical shaky cam shoot-em-ups we’ve become accustomed to. This odd Australian apocalypse has always excited us, critics & audiences alike loved the most recent addition, and here’s a look at the one that started it all. In the years following a bit of a societal collapse, humanity is still holding on to the old ways the best it can, while anarchy reigns where law can’t reach. Max Rockatansky is a young police officer whose job is to keep the highways safe from reckless rogues who’ve decided that the rules no longer apply. But when he accidentally kills a powerful gang member named Nightrider, Max finds himself at the losing end of the war to keep things together. Nightrider’s biker crew, led by the evil Toecutter, swear revenge on Max and the police force as a whole, outnumbering them and daring them to stop the terror. When Max’s own family & friends become a part of the vengeance, he makes it his personal mission to put a stop to the madness once and for all. 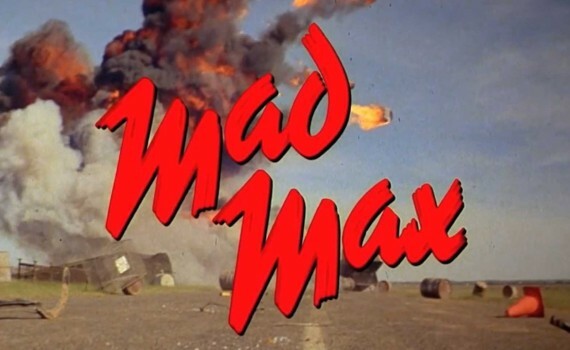 It’s ironic that an iconic movie like Max Max is actually the least Mad Max-ish film of all four. It paved the path, but it varies very much from the others in the franchise. Society is still holding on, Max isn’t a wanderer, he doesn’t encounter strange places, meet strange characters, or go on wild adventures. For the first 3/4 of the movie, Max is a cop with a wife trying to do his best in the face of anarchy. And yet the story is set for journeys to come, action to follow, and that’s why we love this first piece of the puzzle. It’s not my favorite by a long shot, and I’m curious as to how it was received when it first came out all those years ago. It’s weird, very 70s, messy, has cool stunts, and leaves us wanting much more at the end, which I guess is part of its genius. But don’t watch Fury Road and then watch Mad Max expecting more of the same; it’s been a long time & a long process to get to where we are today.